There are many factories, artists, and craftsmen within the Great Wall of China. Product from these sources can vary greatly in both price and quality. Nearly everything we show in our catalog can have a higher or lower quality than what is shown. The price will vary accordingly. When you research an item from China, make sure you know what you will receive. Price quotes can be deceptive. It is one reason why we utilize so many photos. Exporter #1 might say a horse head bone bead is $0.33, while Exporter #2 says it is $0.73 each FOB China. Which option is better? Maybe either or neither is right for you, depending upon your needs. We can deliver both. Normally at a lower cost for any quality. 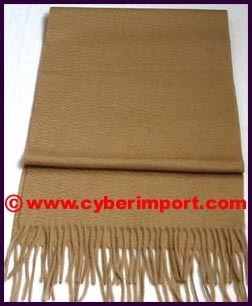 It is the job of Cyber Import to insure that you receive from the factory what you expect. Anyone who has been in import from any country knows the headaches that can be involved if the wrong trading partner is chosen. All our goods pass through our rigid quality control before shipment. If something isn't right, we immediately contact you. We don't classify factory product as good or bad. It all just has different price points. Whatever your needs might be, we try to match the factory. The choice is yours and we help guide you to the right one. Below are those horse bead examples. They classically represent quality range for any of the goods in our catalog. Whatever suits your needs and expectations is what we ship. 6gms, 1 1/2" x 1 1/8" x 3/8"
We describe items in our catalog according to the manufacturer's label description. Unless indicated as from our own factory such as Gruppet Puppets, we do not manufacture the items nor are they manufactured to our specifications. We rely upon the manufacturers to accurately describe their products. We inspect these goods for any cosmetic defects before shipment and, to the best of our knowledge, they are as represented. Price can vary greatly. 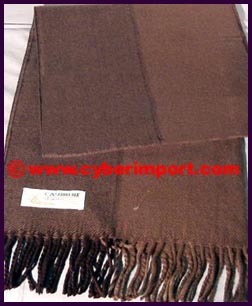 As with the scarves below, choose the quality that is best for your market. Cyber Import does not deal in counterfeit goods ("knock-offs") or items that violate copyright or patent laws. Any catalog sample that might be shown with cutomer's registered trademarks and logo are for demonstration only and not available for sale. Please do not request us to source or produce any such famous brands. Although these black market goods are widely available in China, it is not the business we are in. We are happy to work with importers to develop their own brands or create a related, similar product within the spirit of fair marketing.